The Standard Three and Four junior netball series ended with some exciting games at the Gisborne Intermediate School courts. Grade winners are shown here. 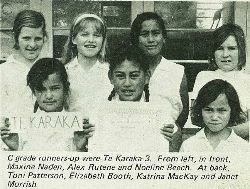 A grade winners were Waikirikiri 1. 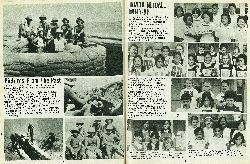 From left, in front, Te Puia Coleman, Myrtle Beach, Lillian Renata and Fay Tuare. 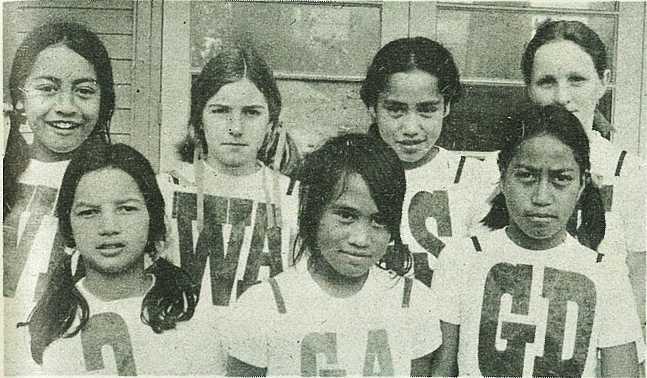 At back, Matakino Matenga, Virginia Patuwai, Josephine Renata, and Sarena Puhipuhi. 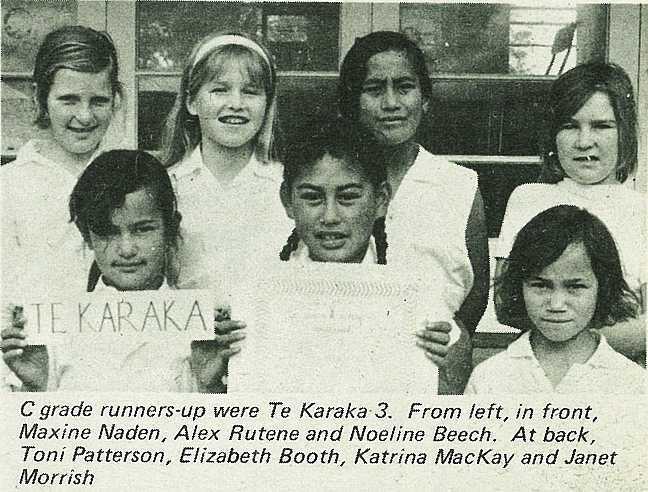 A grade runners-up were Te Karaka 1. 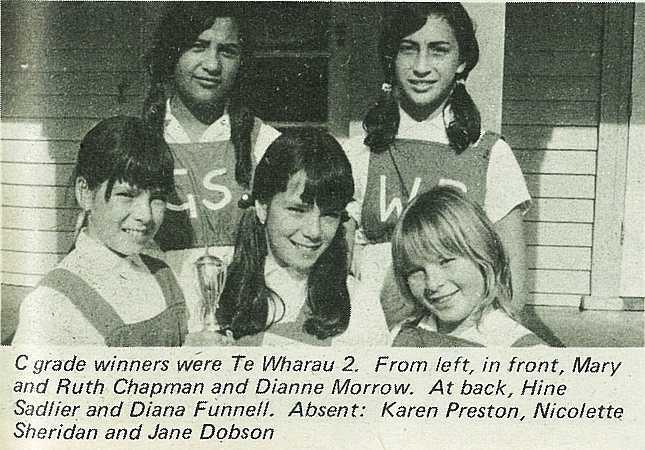 From left, in front, Penny Rutene, June Walker and Trixie Tuapawa. At back, Neta Ruru, Sharon Clark, Faye Morris and Brenda Patterson. B grade winners were Awapuni 1. 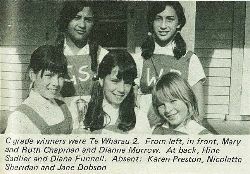 From left, in front, Janice Simpson, Donna Papuni, Dawn Bell and Michelle Winiata. At back, Heather Mayo, Corral Crawford, Leigh Holland and Gael Thomson. B grade runners-up were Elgin 1. 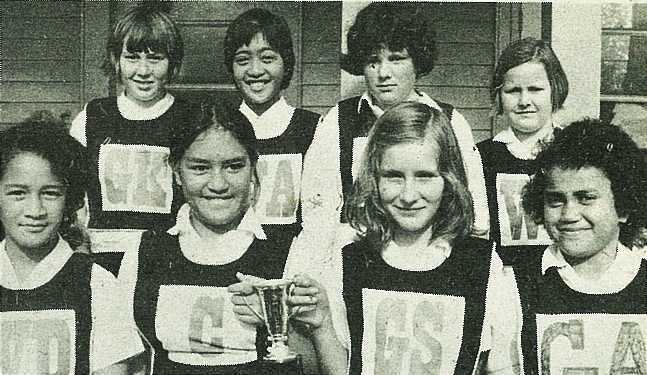 From left, in front, Polly Tamatea, Heni Turner and Sharon Truman. At back, Adrienne Norman, Louise Borrie and Gail Duckworth. Absent: Karen Crockford.